This month's note will be brief. 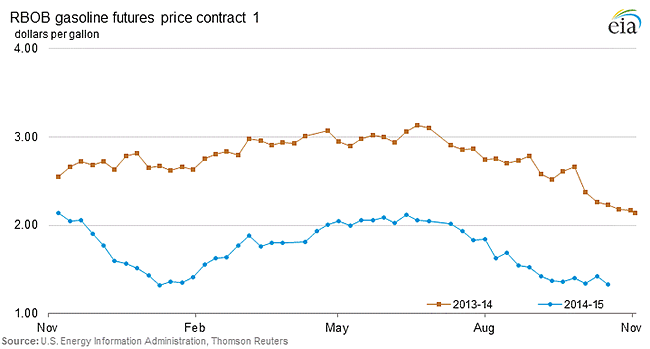 As the graphs above show, year-over-year gasoline prices are lower and demand is higher. This is occurring quickly, which is notable because in the short term, gasoline demand is fairly inelastic. "Inelastic" means consumers don't/can't immediately change our buying behavior with a price change. In the short run, we don't buy larger or more vehicles or use more gasoline in direct (1:1) proportion to the price drop. Over time, demand is more elastic—it does change more. 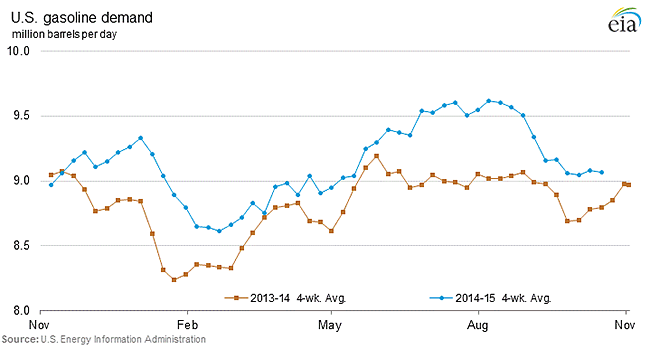 Thus, the one-year demand increase in reaction to the gasoline price reduction is even stronger than it appears. This is also compelling given the background of increasing corporate average fuel economy (CAFE) standards required for new cars. 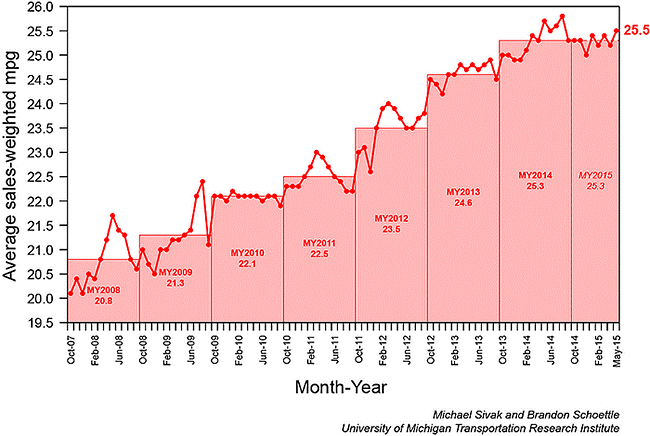 The graph below shows the increase in average fuel economy for light vehicle sales.